Global Compact Network Lebanon organized a Media and Influencers Dinner: Step into the world of SDGs on Thursday October 4 2018 where representatives from Lebanese media, esteemed CEOs, and around 70 top Lebanese influencers from different sectors attended. This event was hosted at and by District S, the first sustainable city in the Mediterranean basin. This event aimed at maximizing the sustainability impact of influencers whose followers are mostly millennials and post millennials via showing what GCNL and its members do in terms of social responsibility while targeting the 2030 agenda. 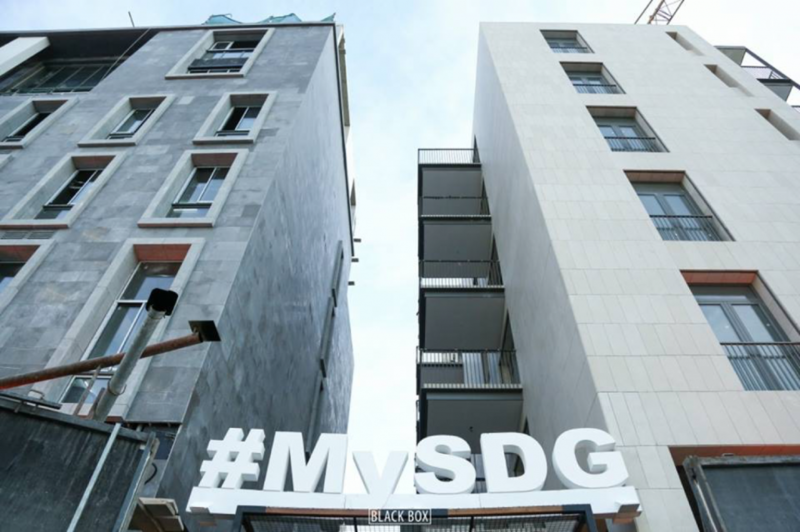 The underlying trigger for this event was to mainstream the 17 SDGs to the larger community rather than limiting the SDG notion to an elitist niche. Upon the guests’ arrival, drinks were served, and the live music set the vibrant tone of the event. Later, guests walked through the grassy area that was lit up with colorful lights that showed the way. Not only was the theme of the event related to sustainability, but so were the products used to orchestrate it. All of the lights used were LED and the materials, ranging from wood to fabric, were reused from other previous occasions and particularly construction sights. Practicing sustainability and not just preaching about it is what both GCNL and District //S hold as their core value, to stay true to their mission and further inspire a national movement towards responsible sustainability. The event officially started at the penthouse. As soon as guests walked in, there was a wall of fame that showcased all the GCNL network members’ logos, and the guests took pictures. The bulk of the event was with the speech of Dr. Dima Jamali, GCNL President, and the speech of Mr. Anthony Stephan, Chairman and CEO of Cornerstone Development and SDG 11: Sustainable Cities & Communities Goal Leader. Last but not least, GCNLs “Goal Leaders Video” was presented to highlight that GCNL is the driving force that is pursuing and accomplishing actionable and sustainable practices in Lebanon. 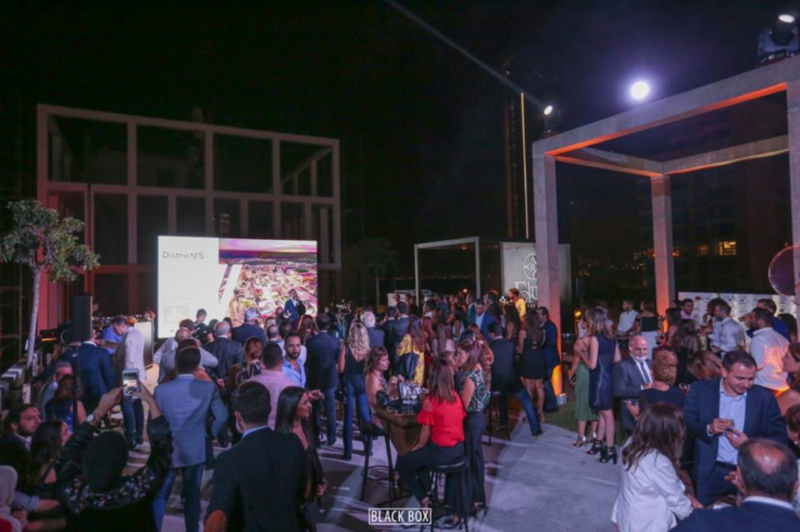 The event closed with Andrea Bou Nader and a pianist performance, as guests mingled around while enjoying delicious food, drinks and the Beirut night breeze.